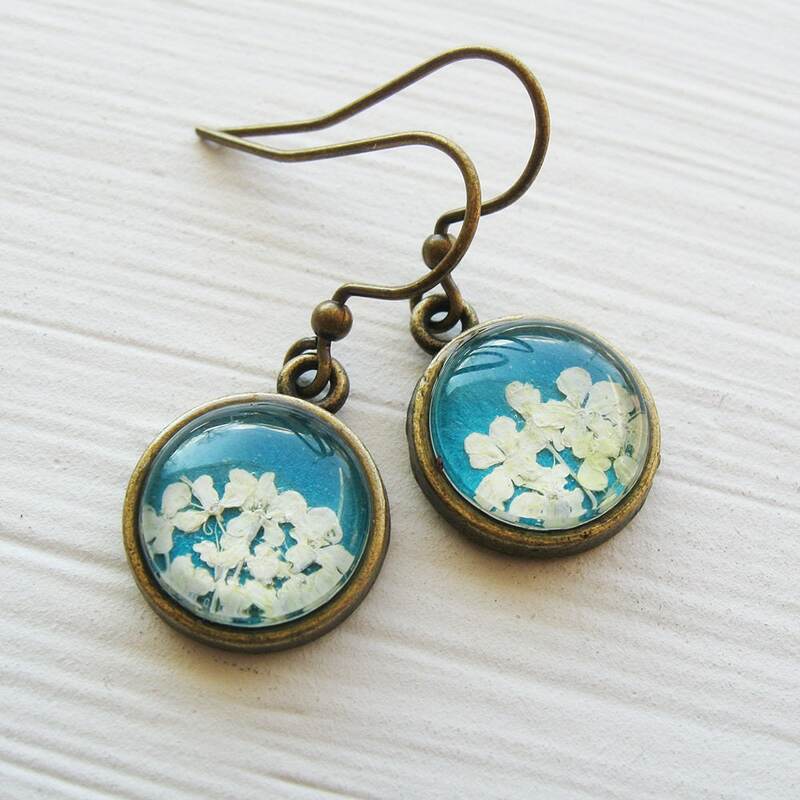 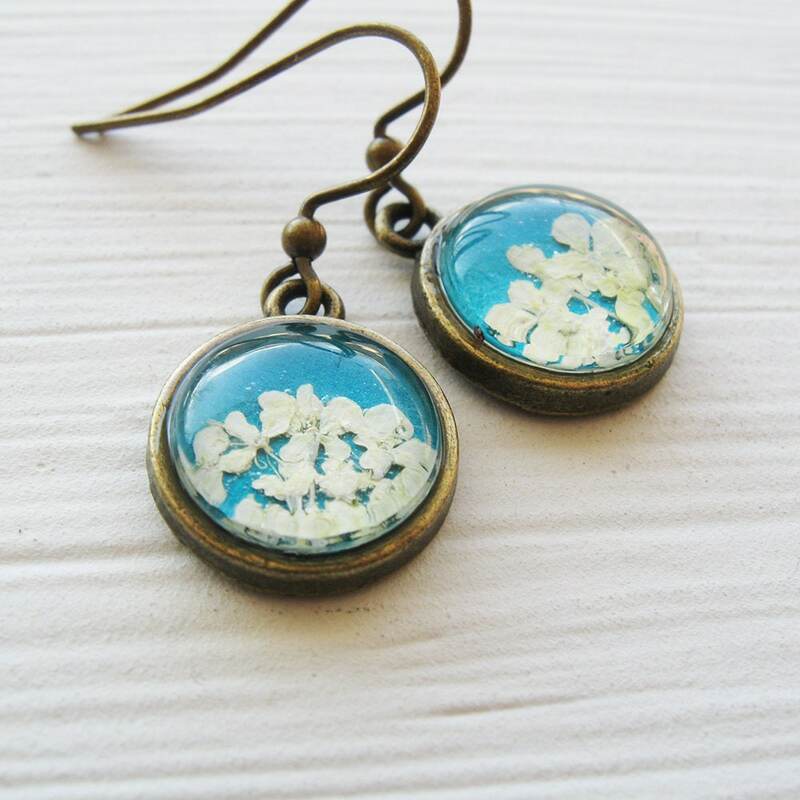 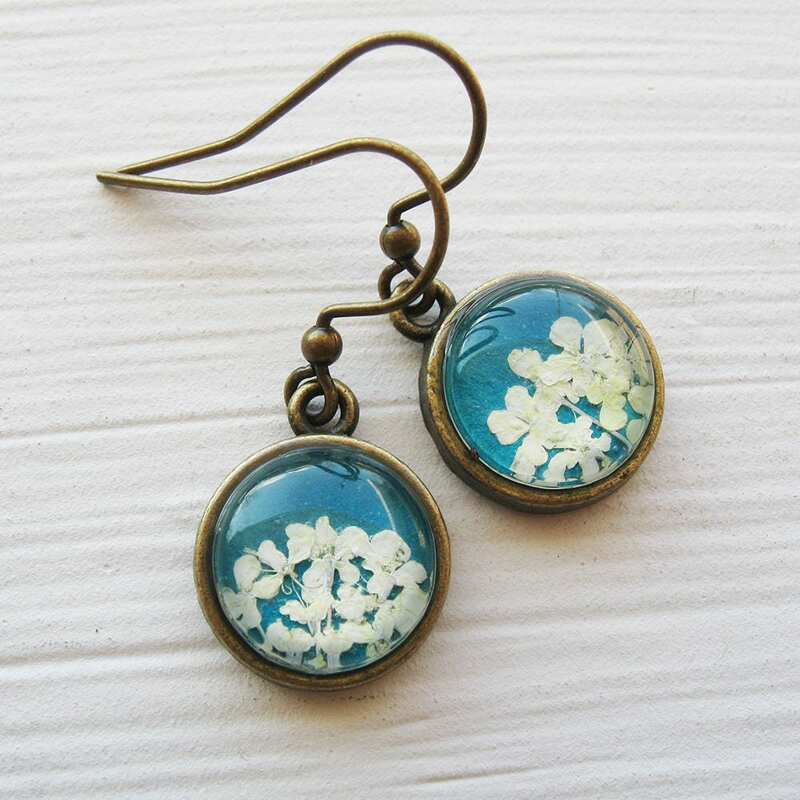 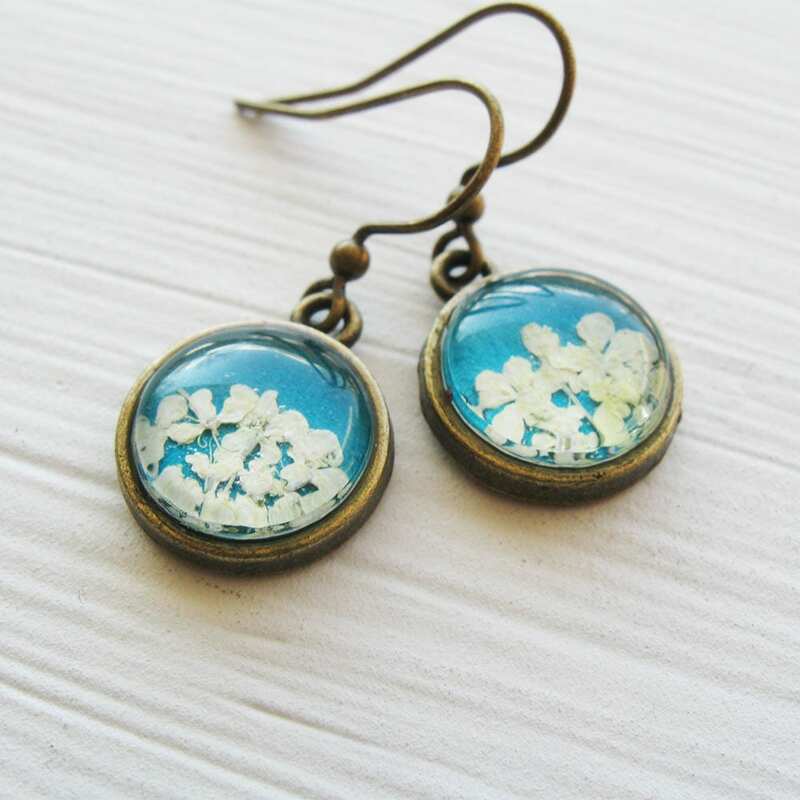 Real Pressed Flower Earrings - Tiny Round Real Queen Anne's Lace Earrings - White and Turquoise. 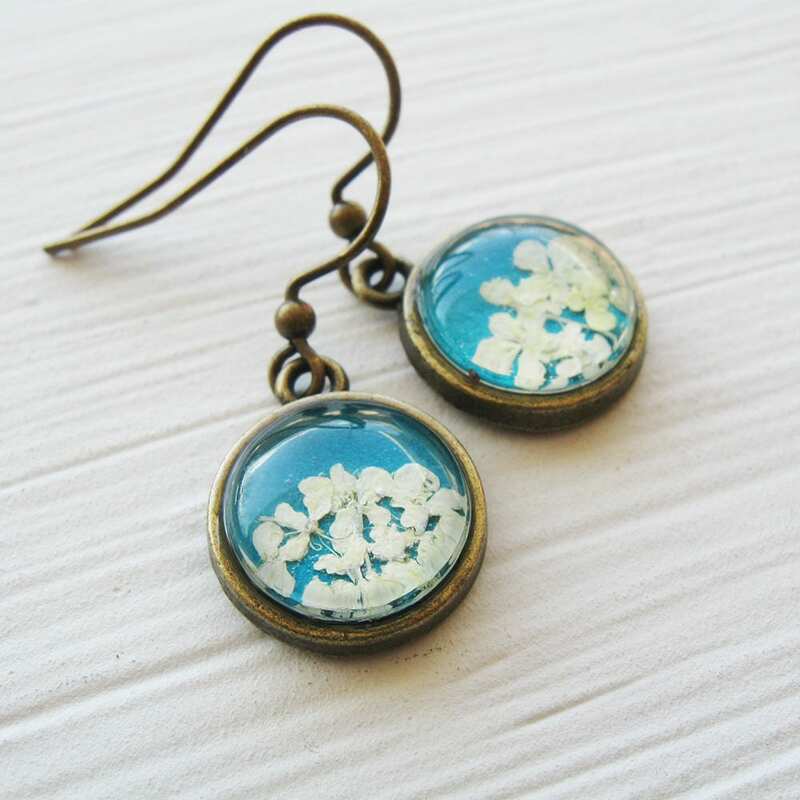 Made from real white Queen Anne's Lace pressed flower petals and set in your choice of a round silver or antique brass setting. 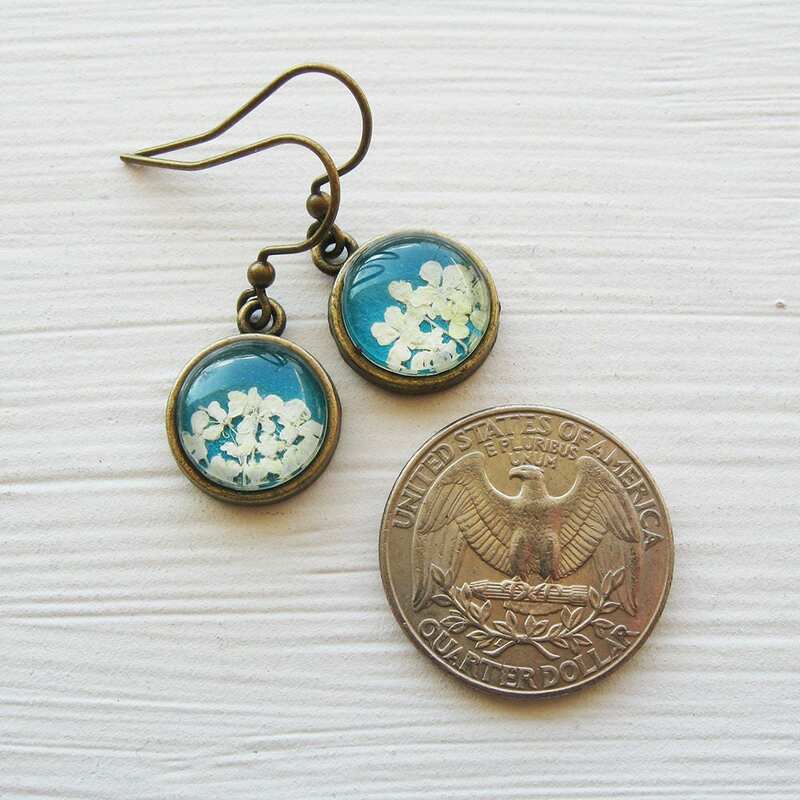 1/2" round on silver plated or antique brass earwires.